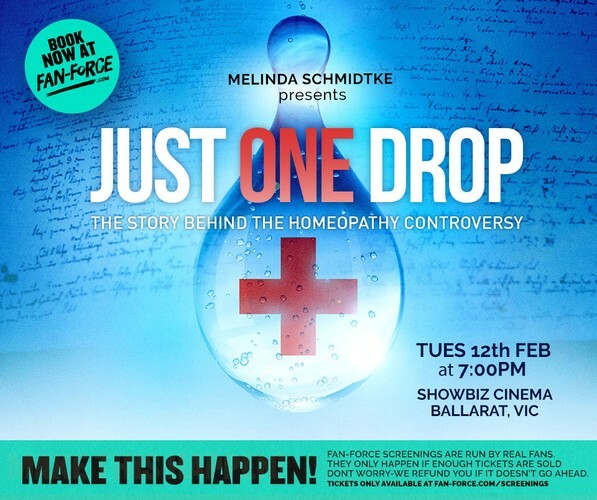 Melinda Schmidtke brings you this special screening of Just One Drop! Make sure you arrive early because the film will start at 7pm sharp! Please note: Enough tickets must be sold to ensure this screening goes ahead! Funds will be placed on hold until the screening is confirmed, if it doesn't happen, those funds will be released! To buy tickets, click on the tickets link above.